Naturally cleanse your little one with this natural, organic bubble bath and shower gel with soothing lavender to calm and relax - perfect for children and babies before bedtime. With a fragrant scent and bubbles, kids are sure to have fun in the tub. A little goes a long way. 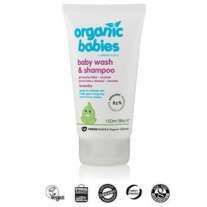 This natural wash gel is SLS-free and kind on delicate skin and suitable for tots with eczema and psoriasis - adults with sensitive skin will love this product too. It's vegan-friendly and fair trade too. 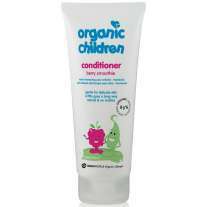 Packed full of organic ingredients, including aloe vera, yucca, chamomile and lavender with no nasties, parabens, lanolin, methylisothiazolinone, methylchloroisothiazolinone, phthalates, artificial perfumes, petrochemicals or colourants.